Bailiffgate Museum & Gallery is a small, independent local museum and gallery, led and run by a team of dedicated volunteers. Its aim is to preserve and celebrate the heritage of Alnwick and district and provide an excellent community, educational and tourist resource. 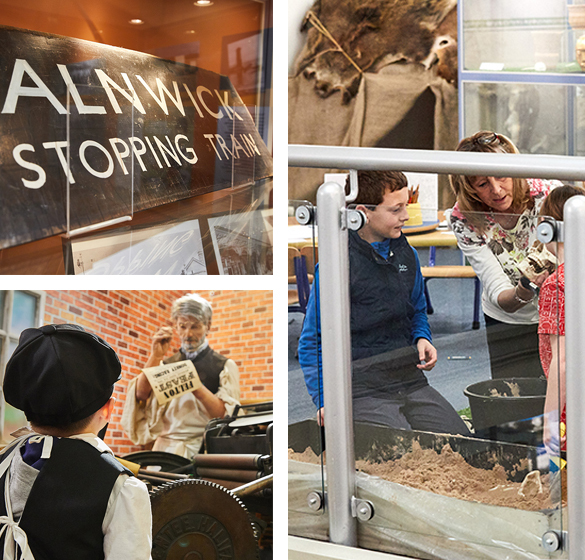 We are an award winning, accredited Museum and a charitable organisation. We receive no fixed central or local government funding and raise our own income including from the generosity of our supporters. Become a Friend of the Museum-which means that you can come to the museum for free for a year. Volunteer - Join our team of around 40 volunteers, who are the backbone of Bailiffgate. Donate Our donors are hugely appreciated. You can easily make a one-off or regular donation. Adopt an Object With some wonderful and fascinating items to choose from.